Last year, HEINZ turned MAYOCHUP sauce, a delicious blend of mayonnaise and ketchup, from viral sensation to reality by bringing the saucy combination to store shelves. But the world of condiment possibilities didn’t stop there. 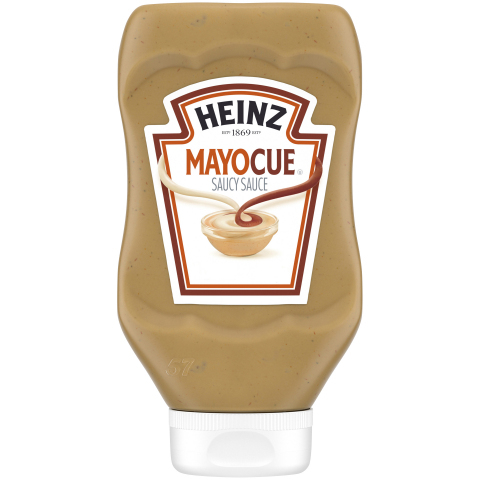 This spring, the brand will make all condiment lovers’ dreams come true with the launch of new HEINZMAYOCUE sauce, a tasty combination of mayonnaise and barbecue sauce, and HEINZ MAYOMUST sauce, a delicious mashup of mayonnaise and mustard. HEINZ MAYOCUE and MAYOMUSTsauces are sold in 16.5oz. bottles for a suggested retail price of $3.49 per bottle and are beginning to appear at major retailers and online, including Amazon, this month. Fans can find out when HEINZMAYOCUE and MAYOMUSTsauces will be available nationwide – and share their favorite food creations – on Twitter @HeinzKetchup_US. Founded by entrepreneur and food quality pioneer H.J. Heinz in 1869, HEINZhas been a staple in American households for 150 years. HEINZ is best known as the maker of America’s Favorite Ketchup® with 650 million bottles sold annually. The HEINZ Tomato Ketchup portfolio now includes varieties to meet every consumer taste, including Organic, Simply, and Sweetened only with Honey. HEINZ has continued its commitment to delivering great-tasting, high-quality products by expanding its family of products to include other favorites like HEINZ Yellow Mustard, BBQ Sauces, Real Mayonnaise, and MAYOCHUP. Whether it’s at the local diner, at the dinner table, at picnics or at barbecues, the thick and rich taste of HEINZ can be enjoyed with family and friends at any occasion.